Fluttershy loves taking care of her animal friends. Sometimes they help her choose her outfits, and spruce up her hooves with shoes! This My Little Pony Fluttershy Purse Pet Care set is shaped like a purse that opens to reveal adorable pet-themed fashion accessories. It folds to close and store the accessories inside for playtime on-the-go. 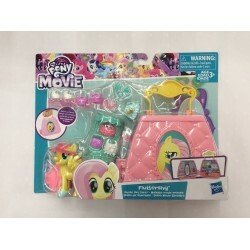 Inspired by My Little Pony: The Movie, the playset includes a Fluttershy pony figure, display stand, and fun fashion accessories including shoes, skirts, purses, glasses, and a visor. Imagine the Fluttershy figure looking her best while caring for her critter friends. 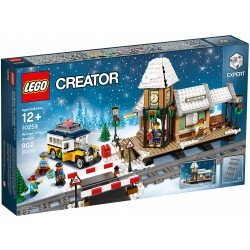 • Includes playset, stand, pony figure, 2 skirts, 3 pairs of shoes, and 6 accessories.